Big Ben clock tower, London. 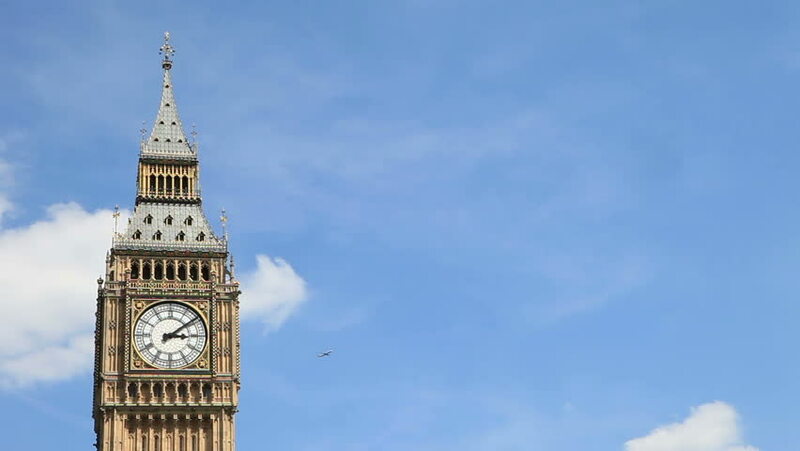 Time lapse video footage of the iconic London landmark, Big Ben, the clock tower at the Houses of Parliament set against a blue sky and swirling time lapse clouds. 4k00:13London. June 2014.Plane passes Big Ben.